You don't forget that first letter to the editor when you're a teenager -- you know, the one that actually saw print in a newspaper, one of those paper thingies with ink on every page? Maybe you're old enough to answer the question, what's black and white and read all over? That's correct, it's a. . .well, I guess nobody really cares much anymore. My first letter appeared in a newspaper during the summer of 1965, precipitated while interesting UFO sightings seemed to engulf the world and its news services. The reason for my literary outburst was a feeling of incredulity when I read of a UFO flying over the Azores with a curious ability to literally stop cold a weather station's electromagnetic clock. Time may not have stood still, but the clock apparently did. Nevertheless, during this period when UFOs were seen over Portugal as well as the Azores, an obligatory official explanation was soon thrown out to the anxious media like a soup bone to a starving dog pack, and all were enlightened with the knowledge that a "research balloon" launched from India was responsible! Surely, I post-adolescently editorialized, weather station personnel would know if balloons could stop their clocks, otherwise why should this become a news event? As it was, 1965 was already a very big year for international UFO reports, and people all over the United States reported an abundance of strange sights in the skies. The Air Force and Project Blue Book, stressed by the sheer volume of reports, insisted to inquisitive reporters that all was well -- after all, they had their own time-worn (nevertheless, misleading) statistics to "prove" it, and frenzied newspaper editors gobbled up any officially-flavored numbers they could get like turkey buzzards at a decaying road kill feast. The thing is, UFO reports weren't progressing quite the way skeptics and debunkers expected. 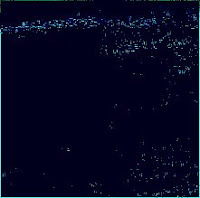 For example, when thousands of people in Texas, Oklahoma, New Mexico and Kansas began seeing bright lights and defined objects zipping across summer skies in late July and early August of 1965, Air Force spokesmen came to the rescue of cool heads by explaining that wide-eyed UFO observers were probably misidentifying not only the planet Jupiter -- frequently the culprit whenever doubt needs to be introduced -- but also the stars Aldebaran, Rigel, Capella and Betelgeuse. Unfortunately, much of the national press couldn't be bothered to report soon thereafter that all of these heavenly bodies were only visible from the other side of the earth during times of UFO activity. Despite a lack of substantial follow-up in the media, at least some news services took the opportunity to listen to witnesses such as an Air Force weather observer in Oklahoma, who assured one and all that he had watched objects exhibiting apparent structural features. Broadcaster and writer (the late) Frank Edwards, famous for his UFO interest, couldn't have said it any better when he entitled his best-seller, Flying Saucers: Serious Business, quoted from an official statement about the phenomenon. And "saucers" were on America's mind, especially because reputable accounts of UFO landings and ground evidence began to surface. UFOs had reached a level causing reasonable concern for the U.S. public, if not downright fear on the part of some. Then, during the first week of September, 1965, an event of extreme significance occurred in Exeter, New Hampshire as a young man named Normal Muscarello walked home on a lonely road from his girlfriend's house, long after dark. Suddenly, a large object with red lights appeared and seemed to pursue the frightened teenager. The story is related in detail in John G. Fuller's classic book, Incident at Exeter (also excerpted in Look Magazine in 1965), but suffice it to say that the boy eventually convinced a police officer to return to the scene with him that night, whereupon both -- and other area witnesses, as it turned out -- witnessed what may have been the same huge object rising silently from a field near the road, and then. . .
And then. . . here it is, almost 45 years later. Muscarello joined the Navy soon after his UFO event, became an adult and died much too soon in 2003, still haunted by his UFO experience -- or maybe the word is affected, not haunted. Whatever the word is, it wasn't good, because Muscarello and other witnesses never found the explanation they wanted and probably needed more than even they realized. One thing's for sure, the explanation wasn't Jupiter and it wasn't Betelgeuse. So, these days I raise an eyebrow now and then, and I'm a little dismayed. I think back upon the days of the "Giant Rock" contactee-lovin' UFO meetings in California of the fifties, and all the considerably more serious UFO conventions which became commonplace in the sixties and seventies, and which survive to the current day. At least these sober attempts keep the UFO issue out there, alive and kicking for the media. What concerns me, however, are the tribute sites, and I refer to solid-ground places, not Web sites -- locations of historic UFO events land-marked and turned into profitable "cash cows" by locals. These ventures didn't really bother me until I read several news stories about the "first" UFO festival in Exeter last September 5, noteworthy for laughs, good times, good food and refreshments, sales of all sorts of "UFO" nonsense, contests, posters drawn by children (who had a really, really nice time. . .) and -- well, you get it. It was apparently like a neighborhood circus or a cavalcade of weird field day exhibits or something. Bah. Humbug. On one hand, I understand how this presumably annual affair will serve as an X-marks-the-spot designation for one of the most famous UFO incidents ever, and I know there are people who truly wish to honor experiences retrieved from fading memories and powerful writing related to that September night so long ago, so many surreal light years ago. But the circus atmosphere? Aliens to laugh over, and spaceships to draw for prizes? Where are Dorothy and Toto? The Scarecrow and Cowardly Lion? Was Barney invited? Shouldn't they attend? Should we? What of the science, what about the horror, the shock, the missing time and confusion, repressed agonies and inconceivable intrusions upon mind and body? What about wounds that even time can't heal because the wounds, at least intellectually, continue for close-encounter UFO witnesses? Are cakes and pies and ice cream cones the solution, as children colorfully draw monotonous alien faces on sidewalks? Yes, but in these economically strapped times, some might say, towns and cities need the cash derived from these fun events and. . .
Shall we have ocean cruises with drunken parties to commemorate the disappearance of young pilot Frederick Valentich at sea after a possibly terrifying UFO-related disaster? Might we "celebrate" the Cash-Landrum incident (whether UFO territory or conventional) with microwave-radiated chicken dinners? Shall caterers be hired to bake cakes and provide food entertainment at homes where presumed UFO abductions have come to horrifying light in the minds of alleged abductees? For a proper remembrance of the Travis Walton abduction, how's about an annual pickup truck tailgate party in the woods, a green event featuring folks chasing one another around with chainsaws? Why not an annual fishing derby in the Pascagoula River to keep the memory of Hickson and Parker's UFO encounter alive, with an appearance by the newly-infamous "Balloon Boy's" family and a special trophy awarded to the fisherman most likely to experience a mental breakdown after catching the biggest fish? Let's consider an annual dog show to mark the anniversary of Barney and Betty Hill's terrifying experience, where people can judge dogs that most resemble the Hills' favorite canine, Delsey. Could we note the UFO-involved/not UFO-involved plane crash of Capt. Thomas Mantell with a race car destruction event at a racetrack somewhere in Kentucky? How about the fifties Lake Superior incident where radar showed a huge UFO and pursuing military aircraft merging, with neither craft nor two-man crew ever seen again? Surely, that's worthy of an annual lakeside volleyball tournament, spotlighting children's drawings of dedicated pilots in fear for their lives. It's discouraging enough when we can't get scientists to give the UFO issue a second look, and it's head-hammering outrageous when we see events begging for a serious investigation turned into clown shows. I, for one, don't intend to attend such affairs, only to be asked by some 10-year-old attired as a space alien, why did the UFO cross the road? * Halloween only comes once a year, and notable UFO incidents would best be commemorated in the halls of scientific inquiry, not on street corners or sidewalks. What's that? You say you looked for UFO books in your local library and all the dusty shelves held was a well-worn copy of My Trip to Mars, the Moon and Venus by Buck Nelson, and a couple of deservedly ignored volumes by the late Phil Klass? With the economy in turmoil, maybe you'd like to purchase some good books about UFOs, but can't afford them, nor do you know what titles to choose. Well, there's a temporary solution as close as your keyboard, and all you need to do is click on the NICAP link in the margin (that is, the link for the National Investigations Committee on Aerial Phenomena). Once there, click on the section offering free book downloads and you'll be on your way to sampling some very worthwhile history. A few of the classics. For starters, there's 1964's NICAP document, The UFO Evidence, the landmark report sent to every member of Congress to alert them of the UFO issue's serious nature. Ufology, by James McCampbell, addresses the possible relationship of UFOs to microwave energy and other power fields. UFOs: A New Look is a classic NICAP publication dealing with UFO evidence. Ted Bloecher's Report on the UFO Wave of 1947 superbly covers a year important to early UFO history. Maj. Donald Keyhoe's first UFO book, a 1950 paperback entitled Flying Saucers are Real is also available as a free and instant download, as is Leonard Stringfield's early publication, Inside Saucer Post. . .3-0 Blue. The original sixties Congressional symposium on UFOs is here, as well as Capt. Edward Ruppelt's 1956 book, The Report on Unidentified Flying Objects, involving his work as chief of the Air Force's Project Blue Book. Don't miss Alfred Loedding and the Great Flying Saucer Wave of 1947 by Michael Hall & Wendy Connors, and Francis Ridge's Regional Encounters. Max B. Miller, an early UFO researcher, produced the classic, Flying Saucers: Fact or Fiction? which includes some interesting photos. Be sure to check for click-on sections in blue indicated for some of the entries, as additional relating information may be available for free downloading. Voluntary donations are always appreciated to help keep this not-for-profit educational site up and running under the guidance of researcher Francis Ridge, but accessing its contents is always free of charge. During your visit to the NICAP tribute site, be sure to read more about the organization's accomplishments, affiliation with key personnel, detailed UFO reports and a virtual treasure chest of all the aspects of UFOs in need of a serious scientific investigation. NICAP may be history, but its goals and discoveries are more relevant than ever. Okay, I get it. The nation bit its fingernails over fears that a six-year-old boy had climbed aboard a balloon in Colorado and, of course, we're all relieved that this peculiar-looking balloon actually enjoyed a childless solo flight, no matter the curious circumstances. Yet, oh, how the press danced in the televised media ballroom, thrilled to show a mushroom-shaped "flying saucer" whizzing across the skies of Colorado. How graceful! How beautiful! How dangerous! How amazing! How high! How low! Wow, it's not even a Mogul project! Sadly, however, the bonus wasn't there. Nobody clinging to the balloon, audibly screaming in fear, nobody performing aerial acrobatics while in free-flight, nobody perched atop the thin fabric like James Bond ready to do battle on the Golden Gate Bridge. How disappointing! What a let-down! How come nobody's waving at the camera?! Ms. Peggy Lee herself might have been tempted to shake her head and belt out a song: "Is that all there is? Is that all there is to a rampaging balloon?" And the press could have responded: If that's all there is, my friend, then let's keep dancing. . .
Perhaps it's true, contemporary journalism classes really are turning out the adult version of TV babies, charged with an ability to investigate little more than shiny hypnotic images capable of rendering them senseless, hopelessly entwined in the pitfalls of brain function deprivation. This isn't exactly a Ph.D. level observation, but'cha know I watched this freaking balloon video on TV "news" shows long, long after the biggest story in the country deflated -- pardon the balloon comparison -- to a major non-story, and I thought, yep, things are normal. For decades, all manner of high-ranking and impressive active duty and former military personnel have come forward and described fantastic encounters with things in the sky exhibiting characteristics far more incredible than the flight of a helium balloon, but Big Media just won't or can't be bothered to shout out a big "Hey, lookee here!" regarding that untidy elephant in the living room. The Colorado balloon was so. . .so. . .well, there were close-up telephoto videos and motion and the thing was spinning as if Dr. F. Anton Mesmer himself had invented the damned thing so the whole nation could fall into a trance. So, innocuous balloons are welcome to flit about in the skies, posing for expensive photographic equipment and grown-up TV babies, and while everybody's sending instant images of nothing special to the media the sober voices of former military personnel warning that UFOs have the capacity to screw around at our nuclear missile bases go unheard, unheeded. I get it. Who wants to listen to this stuff when it's such fun to watch balloons spin and cruise overhead, or to discover animal faces in the clouds? Look, I'm glad a kid wasn't in the balloon, because he wouldn't have had a prayer, not this time, not like on TV dramas ripped from the headlines where everything makes sense. I just wish the mature professional TV-baby journalists would put a little more effort into checking out other things in the sky, weird, usually off-camera stuff capable of intimidating military installations and confounding official personnel. Big Media already has a public relations problem, a.k.a. down-home credibility, and someday that problem may escalate faster than a helium balloon set at warp-speed when the most untold news story ever untold hits the streets. When words matter more than videos or color graphics, who will give us the truth and be bold enough to demand answers? What will TV-baby journalists do? How will they cope? Who will change their diapers when scary government people tell them to go away? 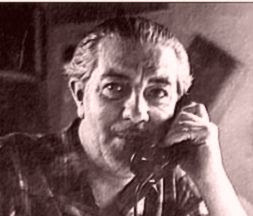 I've posted very little on this blog about the late Ivan T. Sanderson, whom I never met. Versatile in many areas of both education and experience, and a prolific writer, Sanderson also created the (defunct) Society for the Investigation of the Unexplained (SITU), of which I remained a member and writer for its journal, Pursuit, until the organization eventually fizzled out under the increasingly troubled care of the late Robert Warth years ago. Although my exploration of Grigonis's tribute section has barely begun, it's instantly apparent that he sees Sanderson in his own unique way, and I encourage Sanderson's many admirers and researchers to visit "Zippy" (yes, Zippy) Grigonis's site and delve into multiple chapters (some 47,000 words to date, by his estimate) already posted about Ivan, a man whom some still view as a mystery. 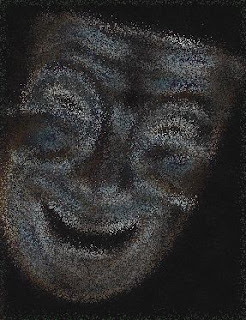 Mr. Grigonis hosts a continuing project, so be sure to consult his Web site regularly for more about Sanderson's life, work and encounters with a (thankfully) very curious young man in search of Ivan the human. (Sanderson photo via Richard Grigonis's Web site). The marriage remains troubled, but the divorce hardly seems imminent, primarily because neither the "other" man/men or woman/women are palpable by name. I refer, of course, to the Socorro, New Mexico UFO case of April, 1964, involving patrolman Lonnie Zamora and other possible witnesses, fellow police officers, U.S. Army and Air Force investigators, Dr. J. Allen Hynek himself, civilian UFO investigators and a cast of untold multitudes when all was said and done, or undone. and in his search engine at the top type in the word, Socorro. On this occasion the RRR ice men cometh with interesting documentation via respected researcher Anthony Bragalia, but no names of those (allegedly) directly responsible for pulling off one hell of a prank. A balloon? Hmm -- weren't the small figures (now supposed prankster university students) observed by officer Zamora noted to disappear before it took off with a roar? So now we have everybody not only presumably escaping (in a balloon?) somehow, but the balloon had the curious ability to fly against the wind and be seen by other witnesses who continued to believe a UFO is a UFO is a UFO. And. . .how about that desert dynamite shack at the scene, would anybody in their brilliantly right hoaxing mind attempt to pull the cactus wool over a patrolman's eyes by staging the event near a potentially explosive source? The questions linger, the Socorro skeptics and proponents rock on and little has changed. And, oh, for laughs here, once again I'm throwing in my 1965 letter from the Air Force regarding the matter. 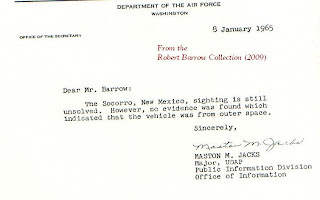 USAF spokesman Maj. Maston Jacks references Zamora's UFO as a "vehicle," but cautions us not to worry because, unidentified or unidentifiable vehicle though it may be, it wasn't a tin Lizzy driven by the usual extraterrestrial scofflaws. In an odd way, and I do appreciate Mr. Bragalia for bringing his work to the forefront, I'm hoping that the prank solution holds up, lest we endure yet another explanation, perhaps a mad scientist's theory that Zamora's roughly egg-shaped object really WAS an egg, a gift from the residents of Alpha Centauri -- a giant extraterrestrial chicken egg piloted by vacationing Centaurians that turned hazardously rotten after a long, long journey and exploded in the desert heat, sending its remnants into the wild blue. Remember, too, the old movie, "20 Million Miles to Earth." Eggs can be both mysterious and deadly. Take heed, RRR Group, this theory awaits your attention. Next time. So, just what happened in Socorro on that April day, a day I remember well as a 15-year-old lying outside in the yard, gazing upward while listening to a transistor radio crackling with a succession of news snippets regarding a UFO incident far away from my home in New York State? Important questions remain, and they aren't going away just because some folks wave their skeptical wand over a document, intent that the end is near. Neither turkey vultures nor Judge Judy would bother picking over this potential ado about nothing. Names, gentlemen, names and their personal how-to lessons are of the essence, thank you.